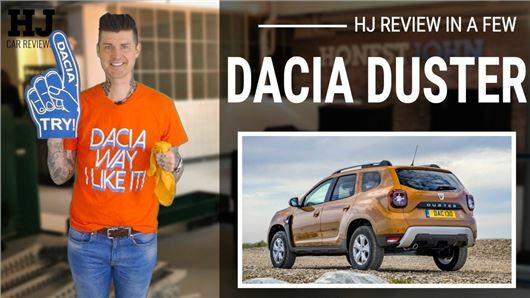 Once again Dacia has created a crossover with absolutely staggering showroom appeal in pure value terms. However, the shortcuts the Duster has to make - including safety - will be a deal-breaker for many. Mark takes you through it in our latest review video. If you haven't already done so, please click here to subscribe to the HonestJohn YouTube channel. I haven't watched the video but I agree with your headline declaration. Late last year I did my customary painstaking research and bought a low mileage used Sandero. Initially I was impressed with it but the gilt soon fell from the gingerbread and after a mere two months I got rid of it for a Kia (Picanto). What most irked me about the former beast was the characteristics of the turbo engine plus a most annoying boot key situation and, above all, utterly useless satnav, which device caused me unprecedented inconvenience. Grrrrrr! As for the Picanto, thé 1.2 version, It's a basically fine(er) product but has a split personality: in the urban environment - it's natural habitat of course - it almost reaches sophistication levels (though at idle it betrays a slight 'interventionist' trait) but take it on the motorway and the powertrain proves to be a tad underpowered and just a little bit too noisy. Nice try, Kia, but you need to tweak it here and there. One mega minus point is a ridge in the driver's footwell which irritatingly catches your shoe's toecap when operating the clutch... Oh, a word about the satnav, viz perfection. I haven’t read your comment but I agree with you agreeing with the headline declaration. Dacia Duster is a "rudimentary" and an "old school made" car. Yes! But that's the charm of it. That makes the difference between a real car and a "gadget car". The reviewer categorically stated that there is an automatic Duster. I cannot find it. Where is it?